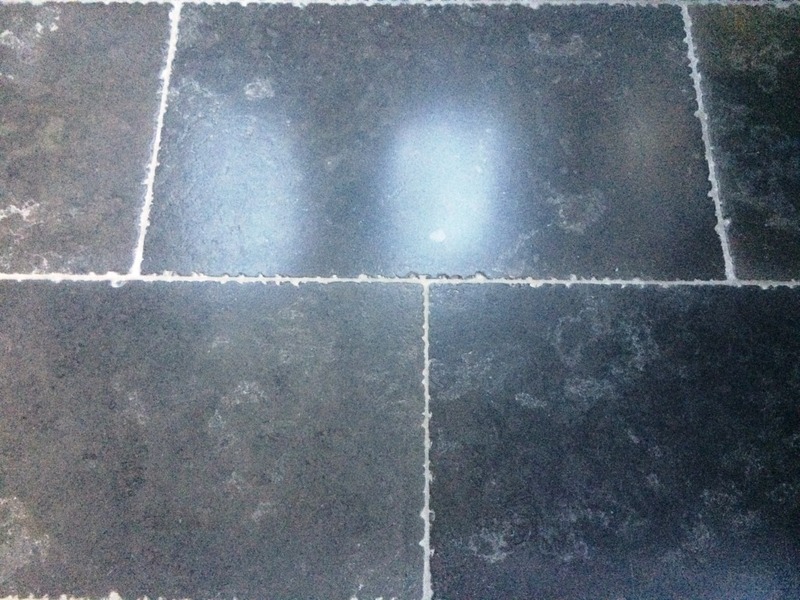 Details below of a recently laid Ca Pietra Hazlebury Tumbled Limestone tiled floor that retails at £180m2 and should have been stunning however the fitter had ruined it and left it covered in grout haze. The owner of the house in Shipley was unable to get the problem resolved and asked us to take a look. 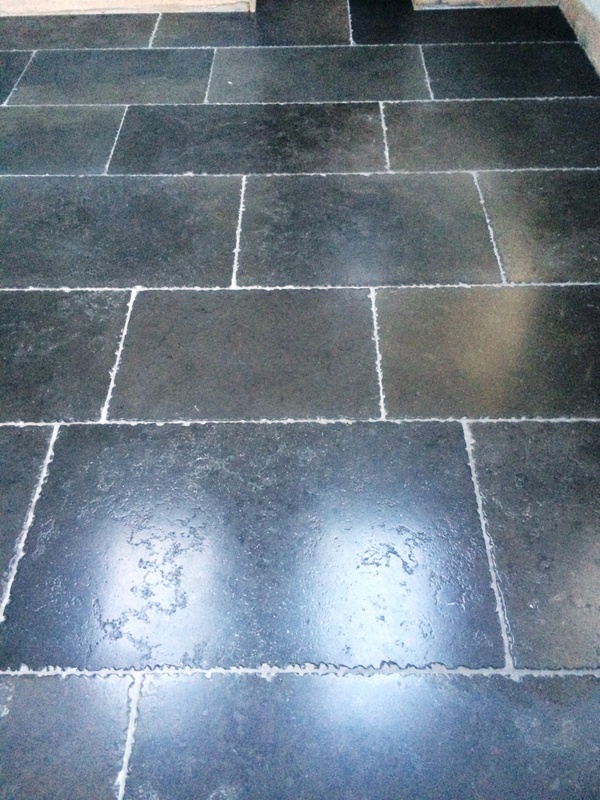 To restore the appearance of the stone it was necessary to wash the surface in an acid based product called Tile Doctor Grout Clean-Up which is diluted with water and left to dwell on the surface for 1 to 2 minutes before being scrubbed in. Limestone is especially sensitive to acids so you really do have to work fast and wash it off as soon as it’s done its job followed by a thorough rinse with fresh water. Once the floor was free of the grout it was given a thorough clean with a strong dilution of Tile Doctor Pro-Clean which is a strong alkaline cleaner and sealer remover. This was worked into the floor using a scrubbing pad fitted to a rotary machine and the resultant soiled solution removed with a wet vacuum. After this the floor was given another thorough rinse and then left for two days so it could dry out. 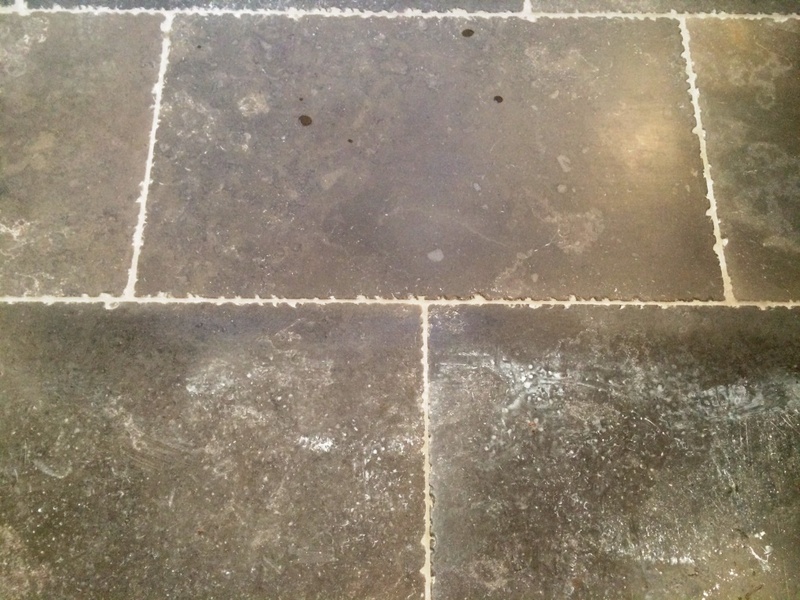 With the grout haze removed we were able to bring back the polish on the Limestone using a very fine 3000 grit burnishing pad attached to a rotary machine. The tiles were then sealed using coats of Tile Doctor Ultra Seal which is a penetrating sealer that soaks into the pores of the stone filling them so dirt can’t penetrate below the surface but without changing the appearance of the stone. It’s highly recommended for Polished Limestone and will provide on-going stain protection. The resulting transformation was remarkable and as you can image the customer was highly delighted.